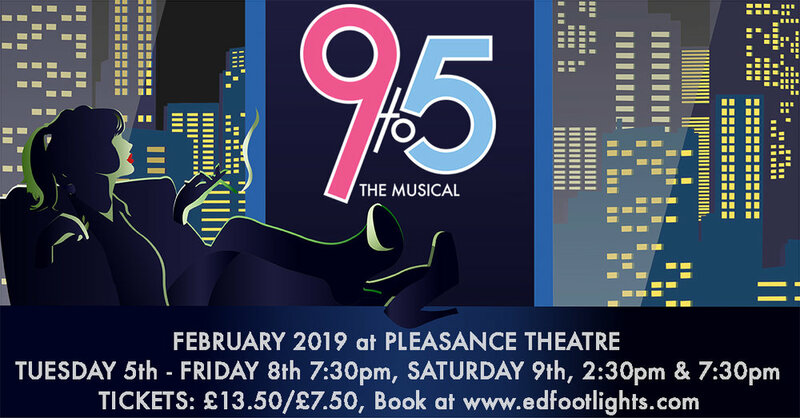 The Edinburgh University Footlights proudly presents our 2019 musical production, “9 to 5: The Musical”! Outrageous, hilarious and thought-provoking, 9 to 5: The Musical tells the story of three women thrown together and pushed to boiling point by their sexist and egotistical boss. Doralee, Violet and Judy form an unlikely friendship and concoct a ridiculous plan to kidnap and turn the tables on their despicable supervisor. Together, will the girls manage to reform Consolidated Industries - or will events unravel around them? Edinburgh University Footlights are delighted to perform this musical inspired by the ‘70s cult film and written by Dolly Parton herself. With an Oscar, Grammy and Tony award-nominated score by the Queen of Country, this performance is all about empowerment, joy and (most importantly) that no woman needs a man! Contact 9to5.edfootlights@gmail.com for group bookings.